Shortly about to commence her final year of studies before starting a graduate role in tax at PwC, Molly was chosen as our 2016 winner. Intelligent, with an adaptive thought process and the power to influence others, she showed all of the skills desirable for a future CFO. 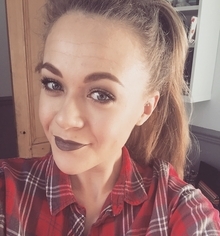 Molly also proves that you don't have to fit a certain mould to become an accountant: she is an avid fashion and beauty blogger, traveller, and animal lover! She describes her trip to Brussels in her blog here. With our finalists being asked to debate the threats and opportunities associated with Brexit for a small to medium business owner, a part of Molly’s prize was the unique opportunity to spend two days in the European headquarters in Brussels to meet with influential business advisors, EU officials, and even getting an exclusive tour of the European Parliament, organised by the ACCA Brussels office. First on the agenda was a meeting with Clara Lemaire, head of the Brussels office of Centrica, Sean McGuiree, director of the CBI Brussels office and Cian Rice, director of EU Government relations for Barclays. They all stressed that the Brexit vote had increased the necessity for UK businesses to have a presence in Brussels. This allows companies to obtain intelligence on and influence policies affecting their activities, and also to act as a link between the EU institutions and their UK offices. Meeting with influential people in the financial sector in Brussels helped Molly to understand some of the wider issues taking place following on from the Brexit vote. Molly also heard a presentation by our Brussels office on ACCA’s EU affairs activities and on how Brussels works. On day two of the trip, after a meeting with Peter Ujvari, a member of ACCA Corporate Reporting Global Forum and senior IFRS expert at the KBC bank, Molly received an exclusive invite to the European Commission and to the European Parliament. One of the Commission's main roles is to propose legislation, which is then adopted by the co-legislators, the European Parliament and the Council of Ministers. The ACCA delegation visited the Directorate General in charge for Financial Stability, Financial Services and Capital Markets Union (DG FISMA), where Valérie Ledure, an ACCA member and the deputy head of the Accounting and Financial Reporting Unit, gave an overview of the work of the European Commission in general, and of her unit, more specifically. The group then had the opportunity to get a private guided tour around the impressive European Parliament by Rhiannon Price, the senior policy advisor of Welsh MEP Kay Swinburne, predominantly active in the field of financial services. After lunch at the EP’s canteen, the ACCA group was joined by Andrea Laskava, a special adviser to EPP’s President MEP Manfred Weber, who shared with us precious insights on the functioning of the EP and the internal political games. In addition to better understanding the role of the European institutions, Molly also got to enjoy the cultural side of Brussels with visits to the Magritte Museum, the Royal Palace, the old town centre and of course eating Belgian waffles and frites. Incoming 2017 tax associate at PwC.